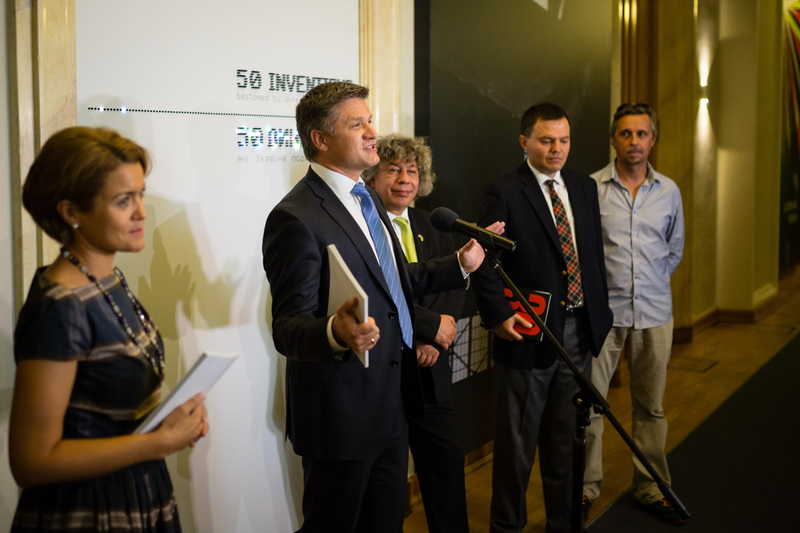 On Thursday, September 3, a new exhibition named 50 Inventions Bestowed by Ukraine to the World opened at Second Floor Art Center. 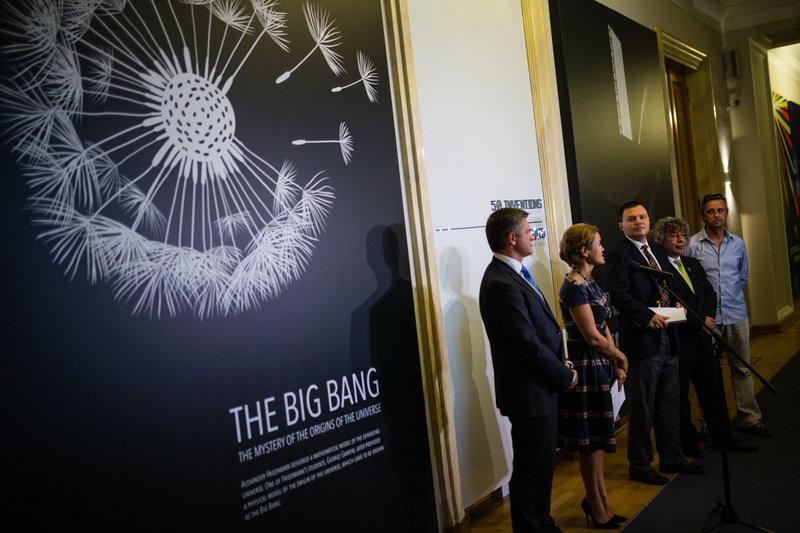 Deputy Head of the Presidential Administration Dmyro Shymkiv, members of staff and Ukrainian innovator Igor Pasternak took part in the opening of the exhibition. 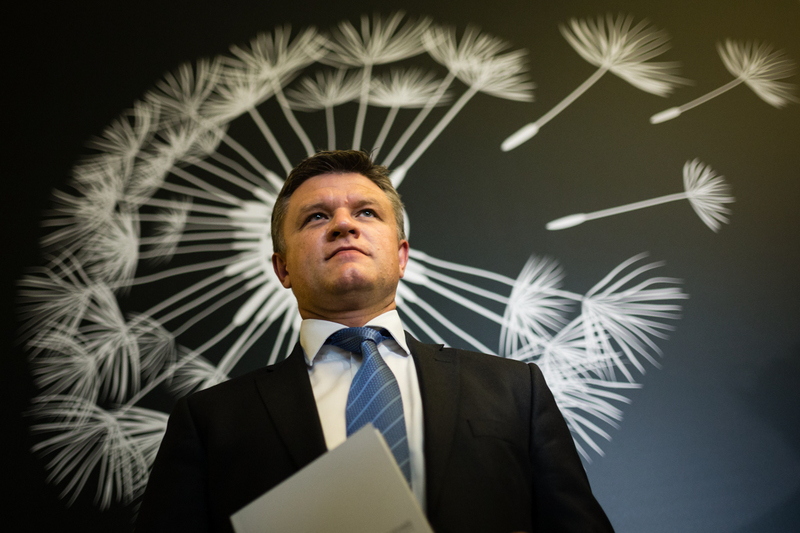 Shymkiv highlighted the connection with the previous exhibition devoted to Ukrainian servicemen and veterans of the Anti-Terrorist Operation called 16. 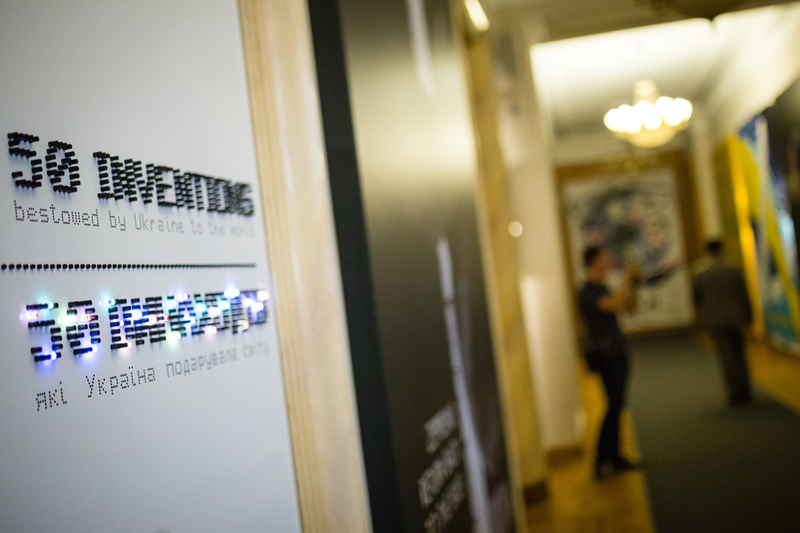 The new exhibition tells a tale of Ukrainians’ peaceful inventions. 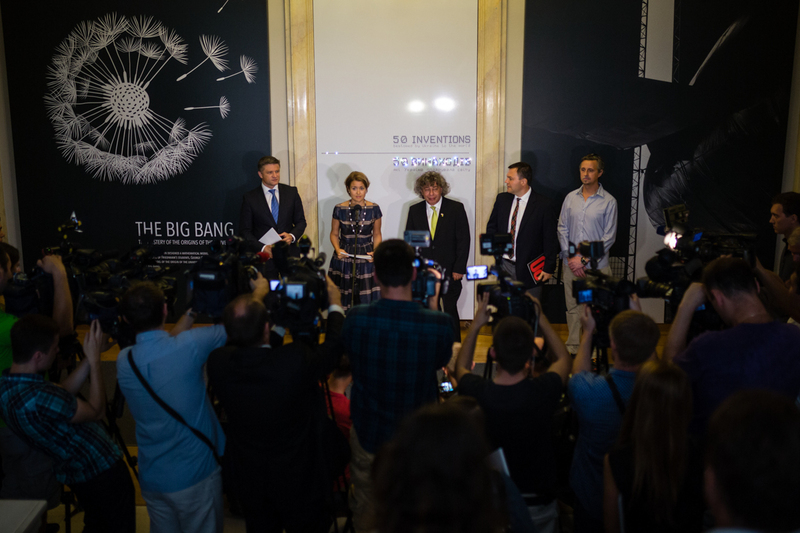 “It is no accident that today’s exhibition 50 Inventions Bestowed by Ukraine to the World is showcased after the 16. A country can enjoy peace only when it is safe and secure. A successful example of this is the state of Israel. Many of these inventions were originally designed for the military, but ended up as civilian know-hows. 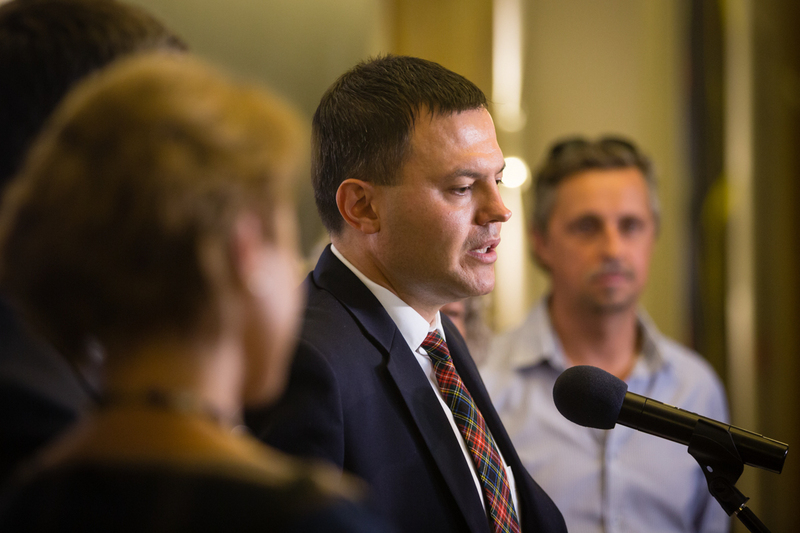 GPS and the Internet are both illustrative examples of this transformation,” said Shymkiv opening the exhibition. 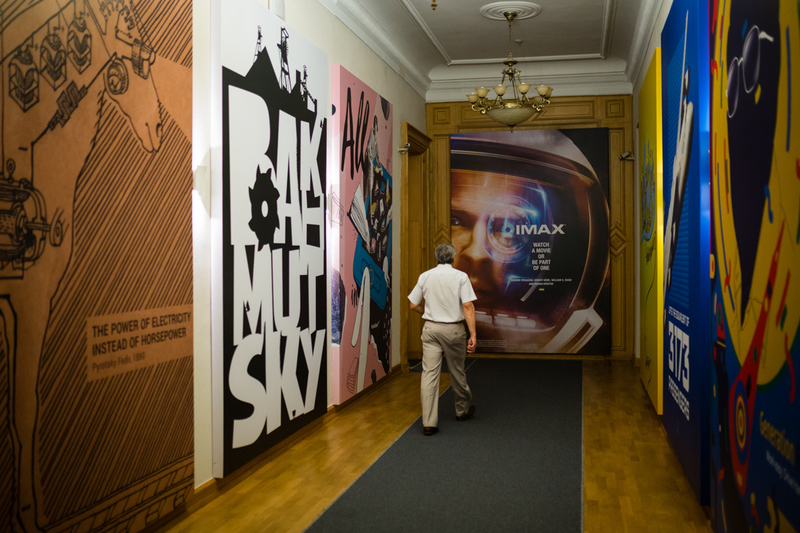 Illustrators of Direct 96 creative group followed the footsteps of Ukrainian inventors, carefully studying their work. 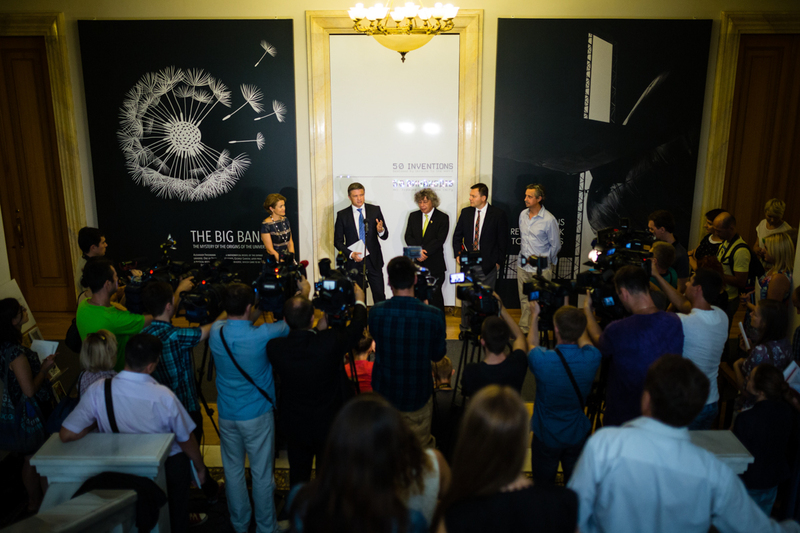 The results paved the way to the exhibition organized by Second Floor Art Center and Ukraine Crisis Media Center. 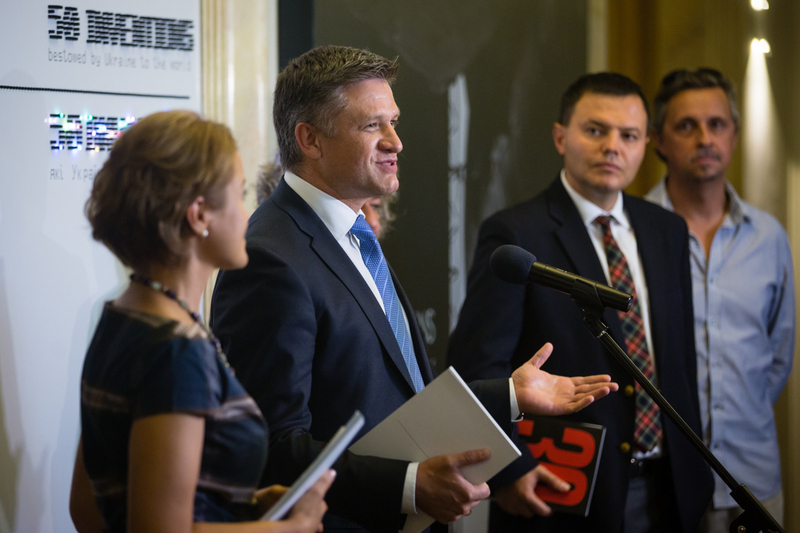 Nataliya Popovych, Advisor to the Head of the Presidential Administration, told that the idea to organize an exhibition emerged before the Constitution Day on June 28. Ukrainian Constitution, too, carries the spirit of innovation, as Ukrainian Hetman Pylyp Orlyk is considered to be the author of one of the first constitutions in the world. 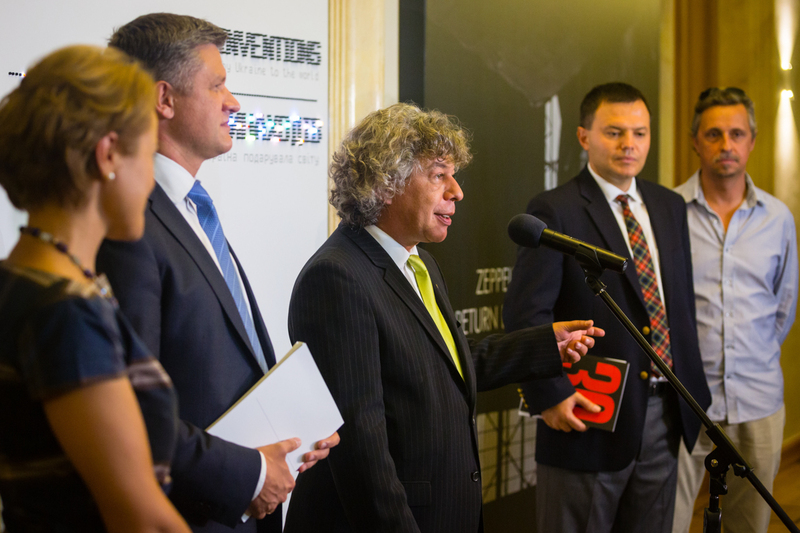 “If there were rankings of states by their potential to innovate, Ukraine would certainly get a decent place. The multicultural nature of Ukraine affects a distinct expession of people’s talents. The idea of freedom in the hearts and minds of every Ukrainian is also integral to the creativity of any inventor,” said Popovych. 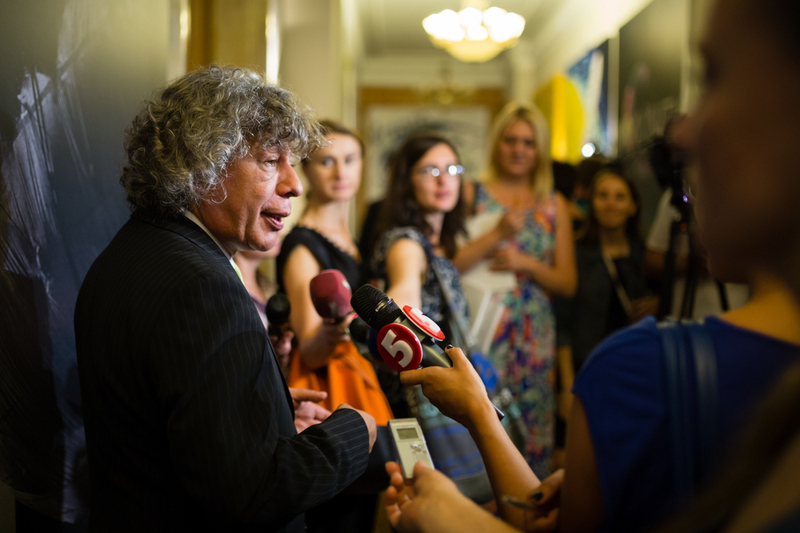 Gennadiy Kurochka, the co-founder of Ukraine Crisis Media Center, presented brochures with TOP-30 and TOP-50 inventions of the Ukrainians selected out of hundreds of others. Kurochka noted that the inventions did not always look glamorous, which prompted the illustrators to search for new and unconventional ways of looking at complex designs. “We have combined the creative mind of an engineer with the imagination of an artist,” he said. 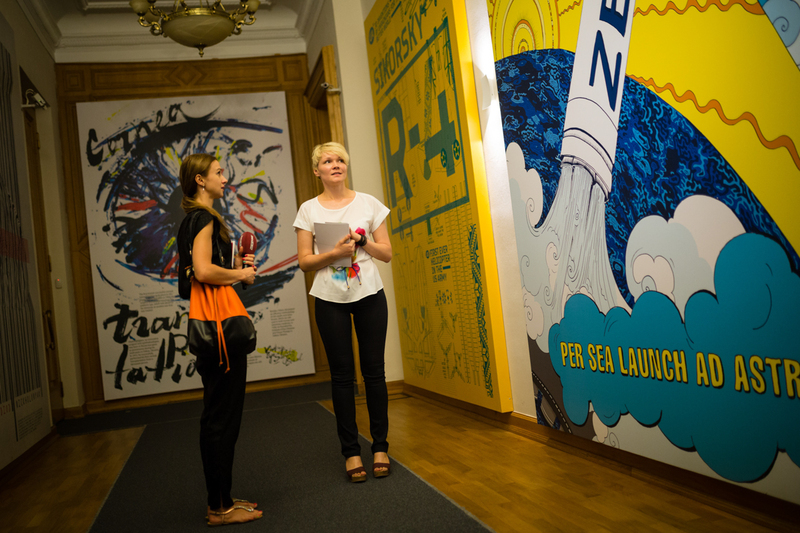 50 Inventions Bestowed by Ukraine to the World is the third art exhibition at the Presidential Administration. The previous one called 16 showcased portraits of Ukrainian servicemen and veterans of the Anti-Terrorist Operation. Over two thousand people attended Second Floor Art Center since its opening in April 2015 as part of the tour program held during the weekends. Even more Ukrainians and foreign guests will get an opportunity to see portraits of Ukraine’s military heroes during Yalta European Strategy conference and later in the Boryspil International Airport and other key platforms in Europe and the world. Presidential Administration staff is working on new programs, making the institution more open, transparent and friendly for all citizens, particularly to senior school and university students. 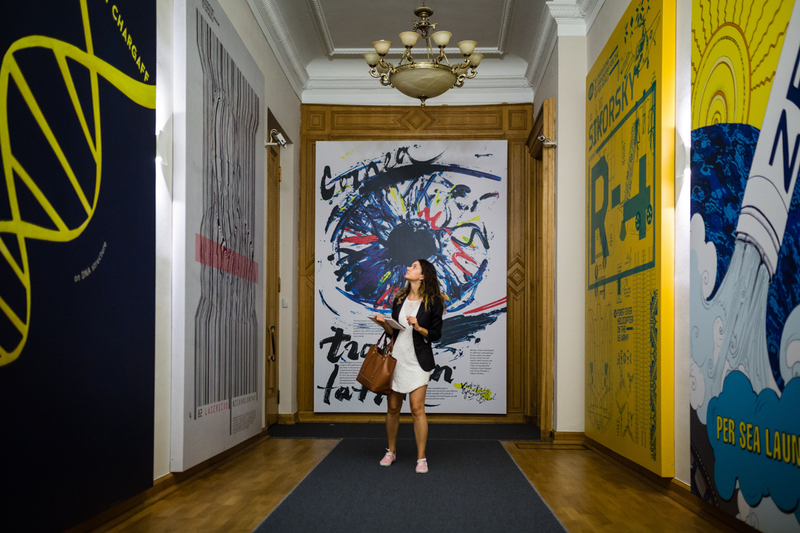 The first art exhibition at the Presidential Administration was Prominent Ukrainians back in April. The Pictoric team united twenty young illustrators and designers who depicted prominent Ukrainians in a new light. 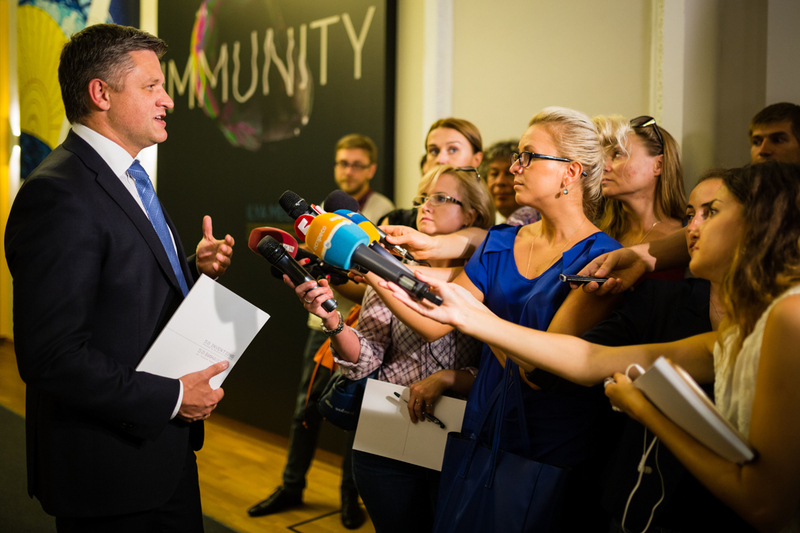 After it was at the Presidential Administration for several weeks, the exhibition travelled across Ukraine. Де і як можна придбати цю книжку?